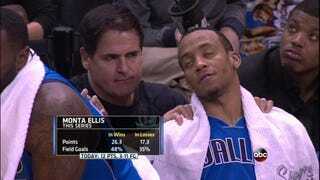 Mark Cuban with Monte Ellis during the Spurs v Mavs Game 7 this afternoon. Cubes even massages his players during the game. What a guy.